The art of finding the best sound for every ear, need and budget. For over 40 years, we have been combining innovative technologies, premium quality and an extraordinary range of speaker models and designs – to produce unique and individualized sound qualities. 2-way compact speaker which is "Dolby Atmos Enabled"
OnWall speaker, 2-way bass reflex with passive cone. Convenient as wall or ceilingspeaker for surronud or Dolby Atmos usage. Aluminium-manganese tweeter system, Woofer and midrange systems with wave technology. 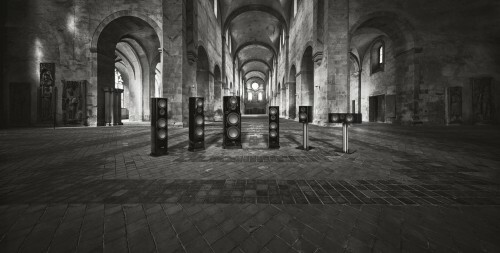 Woofer and midrange systems with wave technology. ​The external feature of the latest GLE.2 series is the new aluminium-manganese tweeter system.